Any retelling of a tragedy of the scale of the 2011 Norway attacks needs a sensitive approach, and it’s no suprise that when the movie was first announced, a campaign to stop its production was raised, and 20,000 signatures were generated. But those who didn’t want to see the movie made needn’t have worried, because 22 July is as restrained and as unsensational as you could possibly get. 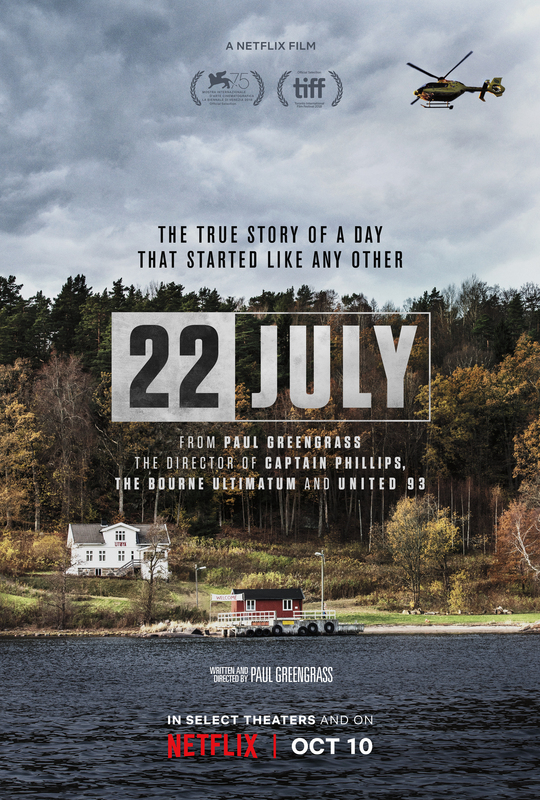 Thanks to an intelligent, well-constructed script (by Paul Greengrass), and equally intelligent, perceptive direction, this adaptation of Åsne Seierstad’s book, One of Us: The Story of a Massacre in Norway – and Its Aftermath, is less about the terrorist attacks and more about what happened in their wake, from the trial of Breivik and its conclusion, to the physical, mental and emotional rehabilitation of a (fictional) survivor of the Utøya shootings, Viljar Hanssen (Gravli), to the ways in which Norway as a country dealt with the horror of such events happening on its native soil. 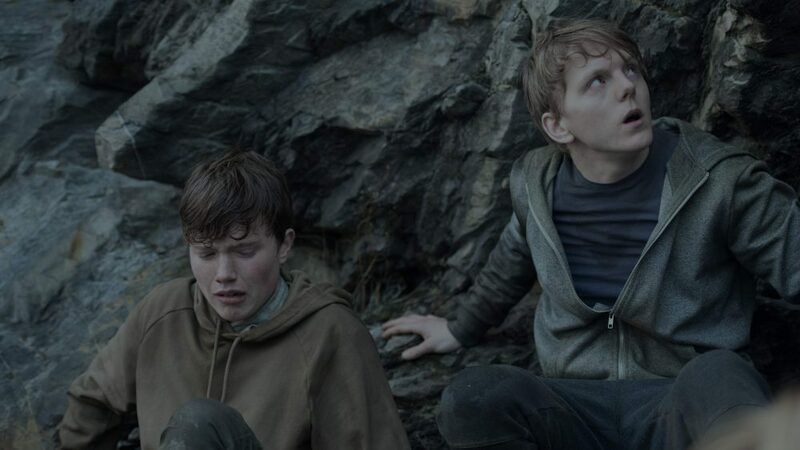 Successfully mixing the broader details of this last with the personal details of Viljar’s struggle to regain his sense of self, and Breivik’s self-aggrandising polemical references, Greengrass avoids any potential accusations of unnecessary melodrama, and opts instead for a quiet sincerity that permeates the whole movie. What this gives us is a movie that approaches the material in a patient matter-of-fact way that eschews the need for tension or more traditional thriller elements, but which does pack several emotional punches into its structure. Like much of the movie, these moments are quietly devastating, often coming out of the characters’ need to understand what happened and, more importantly, why it happened to them. To his credit, Greengrass doesn’t offer very many answers, and it’s this sense of confusion that carries much of the movie’s middle section, as conversely, it becomes clear that whatever larger motivations Breivik may have had, notoriety seems to be the one that he’s most comfortable with (there’s a horrible moment where he complains casually about a cut to his finger caused by a “skull fragment” from one of his victims). 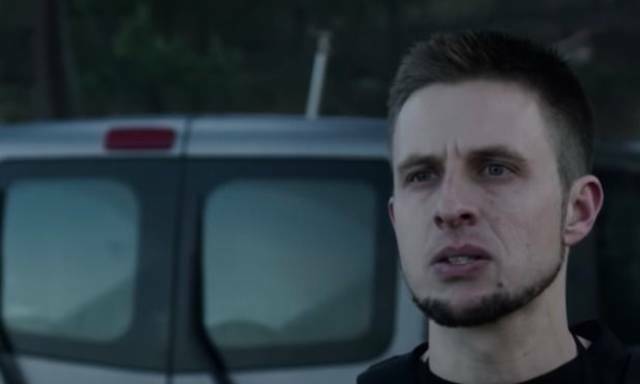 Lie is excellent in the role: smug, condescending, without an ounce of remorse, and chillingly banal; Breivik might not be a paranoid schizophrenic, but in Lie’s interpretation, he’s definitely got some kind of dissociative disorder. Gravli is equally compelling as the good-natured teen forced into some very dark corners through being a survivor, and Øigarden displays Lippestad’s patient forbearance of his client with great skill and diplomacy. In fact, this is that rare cast where everyone is on top form, and as they’re all Norwegian, that’s something that couldn’t have been better. Rating: 8/10 – with only a tendency to drag during a middle section that repeats a number of encounters and narrative discursions to be held against it, 22 July is further proof that Paul Greengrass is one of the best writer/directors currently making movies; insightful and incisive, he’s crafted a movie that does full justice to the terrible events of that fateful day, and he does so with great skill and an abundance of straightforward honesty, something that should placate all those who didn’t want the movie made in the first place.